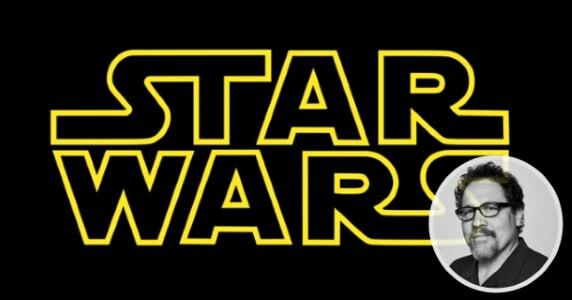 Earlier this year, it was announced that director/actor Jon Favreau would be creating a live-action Star Wars TV series for Disney’s soon-to-be streaming service. This week, more was announced about the series, including its subject and who will direct some of the episodes. 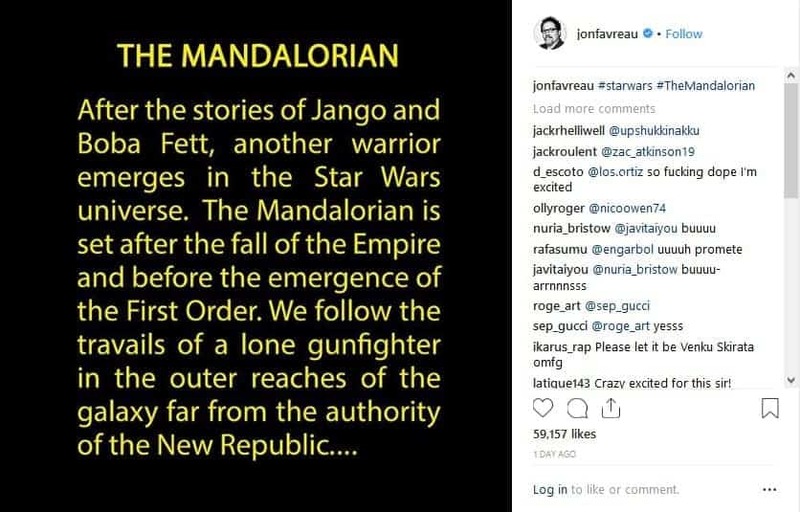 First things first, we know that the series will be called The Mandalorian. This was announced by Favreau on his Instagram account Wednesday, along with a summary of the plot. After the stories of Jango and Boba Fett, another warrior emerges in the Star Wars universe. The Mandalorian is set after the fall of the Empire and before the emergence of the First Order. We follow the travails of a lone gunfighter in the outer reaches of the galaxy far from the authority of the New Republic…. The series will have eight episodes, and is expected to cost as much as $100 million to create. Five directors has been announced so far, and include some fairly big names. Dave Filoni, creator of Star Wars: Clone Wars, will direct the first episode and will also be an executive producer on the show. Additional directors include Deborah Chow (Jessica Jones), Bryce Dallas Howard (Jurassic World, Solemates), Rick Famuyiwa (Dope), and Taika Waititi (What We Do In The Shadows, Thor: Ragnarok). 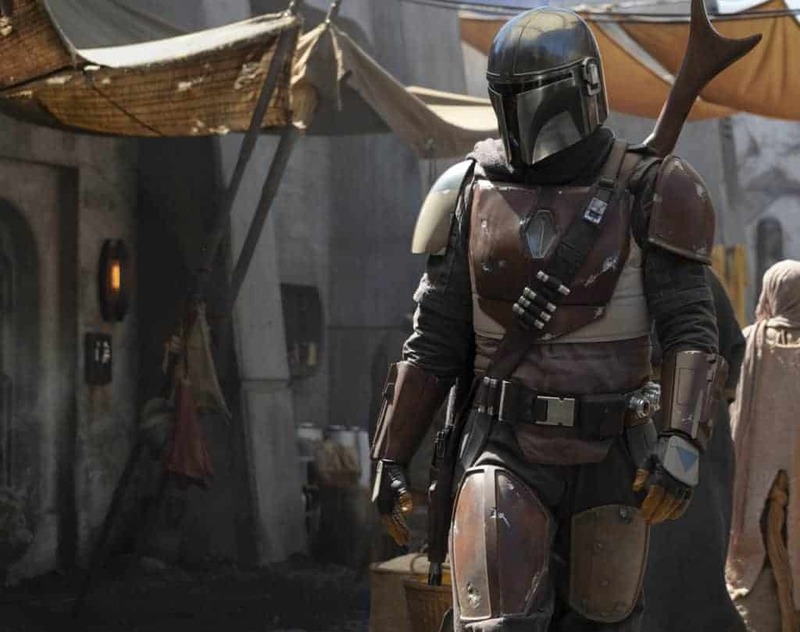 So far, no official casting news for The Mandalorian has been announced. However, reports from Making Star Wars say that both Pedro Pascal and Werner Herzog are attached to the project. Until more formal announcements about the casting are made, we will just have to wait and see. 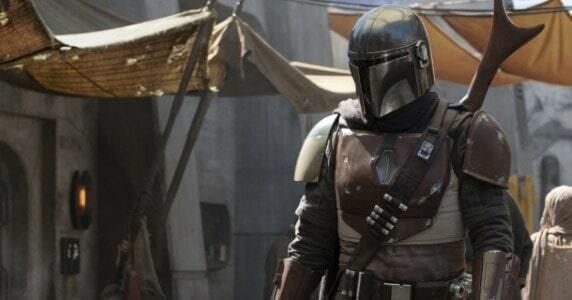 Yesterday, the first official photo for The Mandalorian was released. It should be safe to assume that this is an image of the titular character, though we do not yet know their name, and we see them walking through what looks like a bazaar. Given that this takes place a few years after Return of the Jedi, could it be too much to hope for a return to Mos Eisley, our favorite hive of scum and villainy? There is not yet a specific release date for The Mandalorian, other than late 2019. As stated earlier, the series will be released exclusively on Disney’s streaming service. [Video] Last Night on CONAN (10/4/18): Conan O’Brien’s Final Hour-Long Show! Deon Cole! 2019 Plans Announced! March 23, 2015 Manny Popoca Trivia Comments Off on PopcultHQ Trivia: Marvel’s Original God of Thunder, Thor! Eric Allan Kramer?